Numerous factors affect the housing market, and right now, decreased home values and increased foreclosures go hand in hand. When foreclosures show up in your community, they can drag down the value of your home, they can cause potential home buyers to purchase cheap foreclosed homes over your more expensive home and they can even decrease the value of your neighborhood as a whole when vandalism is targeted at vacant foreclosed homes. Even though you can’t prevent foreclosed homes from showing up in your neighborhood, you can take steps to prevent neighborhood vandalism and value decreases. To prevent neighborhood vandalism, you could create a community watch party. Gather your local neighbors for a meeting to discuss watching over vacant homes on a regular basis. Perhaps you could create a schedule so that someone is keeping an eye on vacant homes at all times. If any suspicious activity is spotted around a house, or anywhere in the neighborhood, the person on watch duty could call the local police department to come check it out. Not only will this type of action prevent vandalism and unwanted neighborhood visitors, but it will also create a close bond between neighbors that will look positive to potential home buyers. 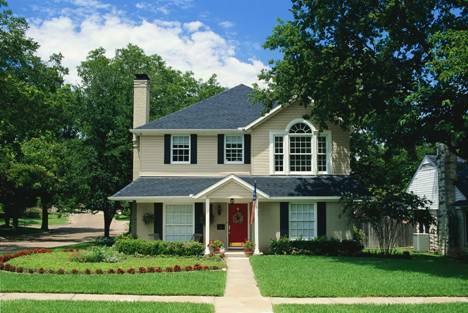 To protect the value of your home specifically, increase the curb appeal of your home until it looks impeccable. You want potential home buyers to view your home as a smart and worthy investment. If they see a house that shows off flawless qualities, they’ll forget about the cheaper foreclosed homes down the road that display overgrown lawns and peeling paint. To increase your home’s curb appeal, apply a fresh coat of paint to the exterior, fences, benches, front porch poles, mailboxes, garage doors, window shutters and anything that looks used. Also, keep the lawn mowed and the bushes trimmed. Pull weeds from around foliage. For extra appeal, display colorful flowers in pots that flank the front entryway. Once you reach the goal of gaining interest in potential buyers, don’t lose that interest. Instead of immediately agreeing to lower your price to compete with foreclosed prices, explain to the buyers that your home’s value is worth more than that. Opt to include bonuses in the transaction instead. For example, you could pay the closing costs for the buyer, you could include select furnishings and accessories with the home, or you could add upgrades to the home without increasing the price. If the buyer still insists that you lower the price, do so intelligently. Don’t panic. Your home is valuable. Keep that in mind as you attempt to sell now! Reason #2 to Sell with Buy Owner: Market until Sold! When you choose Buy Owner advertising, you have the comfort of knowing your home will be showcased until sold, however long it takes. There are no time limits. There’s no certain period in which your home must sell. Buy Owner doesn’t give you a month, two months, a year; we just promise to advertise your property until sold. It’s that simple. As long as you want it advertised, Buy Owner will keep it online. Plus, you have total control over when it’s displayed – Want to remove your advertising for a while because you’re going out of town? No problem! Your property’s listing will still be available when you’re done. Just let the customer service department know, and they’ll remove it and reactivate it when you’d like. At Buy Owner, it’s all about putting the power back in your hands. That’s the difference. One of the most important steps to selling your home is getting buyers to come see it. This is what advertising is all about: getting the word out about your for-sale property and bringing people through your home to show off its features. But what should you do if, after they come to visit, potential buyers aren’t making offers? If many people have come through your home without making any legitimate offers, it’s time to reconsider your selling strategy. 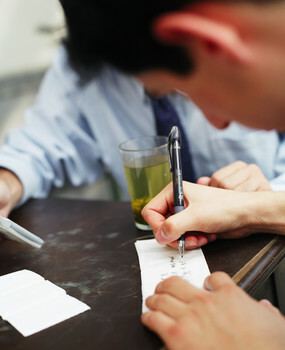 First and foremost: are you priced correctly? In recent Buy Owner Blog article, “The #1 Mistake of Home Sellers,“ we pointed out that pricing your home incorrectly can prevent buyers from inquiring or visiting your property. Likewise, overpricing may become even more obvious for the sellers that do come for a home tour. If your home’s been on the market for a while, especially, you’ll want to reevaluate the asking price, making sure it’s in line with current values in your area and for similar homes. Another important consideration is the way you show your home. Be careful to avoid common showing mistakes (see this article, ”The Top 5 Mistakes Sellers Make When Showing Homes”). Also, you may want to ask for feedback in a conversational way after the buyers have visited. Getting answers from them will help you see trends, if any, that are preventing buyers from making offers. • Are there any questions I can answer for you? • What did you like? • Was there anything you didn’t like? • How does this home compare to others you’ve toured? • Have other properties you’ve looked at been in the same price range? • Did other properties in this price range have similar amenities? When holding an open house that draws many potential buyers at one time, a great way to gather feedback is by putting out comment cards, complete with pens, near a basket or box. Invite visitors to anonymously fill out these cards after touring your residence, providing you with a variety of opinions at once.